Improving at chess takes a lot of hard work and dedication. You have to give it some daily time, even if it is only one hour a day. However, you have to be constant and fully concentrated on your training. It is important to analyze your weaknesses (and be fair to yourself here) and then create a working plan. 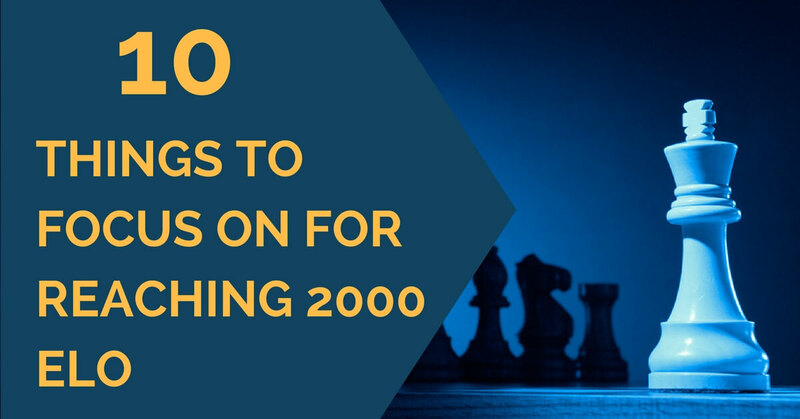 If your goal is to reach 2000 Elo, then this shouldn’t be very difficult to achieve given that you respect your training schedule. We have created below a list of the aspects we think you should study first in order to reach your aim. Improving your tactical vision by working on quickly recognizing and spotting the most common tactical motifs will help you improve a lot at this level. You don’t have to choose very difficult exercises; at this point, the quantity is probably more important than the quality. Focus on correctly solving and calculating short lines (3-4 moves). Click here to learn how to calculate better. Most mistakes in the calculation are made at the beginning of the line (the first moves), so by working on this, you will be likely to reduce the number of mistakes made during a game. 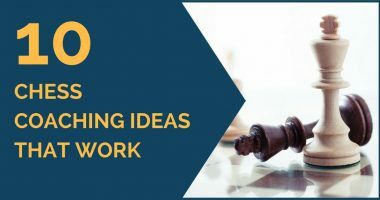 Learn also how to select the candidate moves (both yours and your opponent’s) and educate yourself to apply the same process of thinking over the board. Nowadays it is very important to know your theory well, but, in our opinion, in order to make progress, it is even more important to understand the plans and ideas behind the moves you make. Sit down and replay the moves on the board and as you advance, try to understand the character of the position and the logic of the moves. Also, look for possible plans at the end of each line you’ve chosen. In order to improve you have to develop a good strategic understanding. 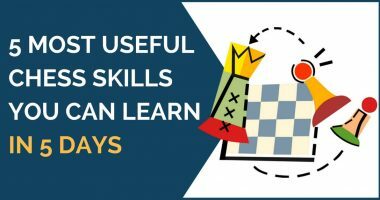 Start with the basic ones, such as weak squares and how to exploit them in the opponent’s position, weak pawns, the importance of the open files and so on. Every position has certain characteristics that are usually given by the pawn structure on the board. It is important to understand the typical plans and know what you should be striving for in different types of positions. Learn how to play with and against the isolated pawn, what you should do in positions with hanging pawns, how to exploit the backward pawn, etc. 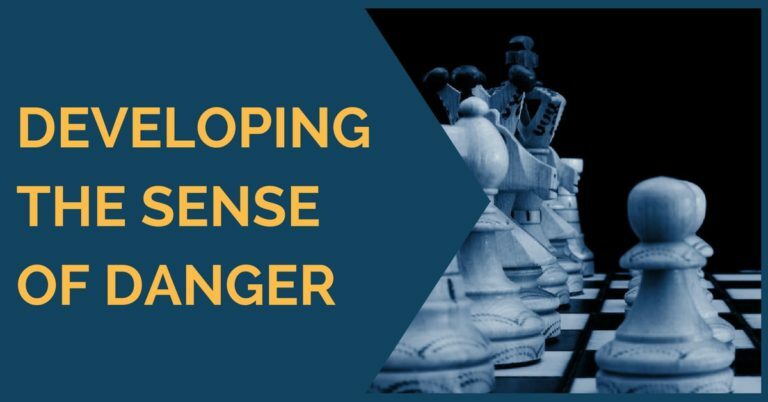 In order to evaluate the position, take into consideration the most important elements such as king safety, piece activity, and the pawn structure. This will not only help you to discover the strengths and weaknesses of each side but also give you an objective perception of your position. Once you have worked on points 3 to 5 mentioned above, finding the right plan should come naturally. This could be to improve a piece, to create or exploit a weakness in the opponent’s position or simply to improve the coordination of your pieces. This will give you a good understanding of positional elements such as the bishop pair, the opposite color bishops and when a piece is better than another. These elements occur often in practice and it is important to know how to correctly evaluate and use them to your advantage. Another good way to improve your level is by analyzing your own games and correcting the mistakes that you make the most. It is important to be objective and annotate every flaw that you might notice. Once this is done, create a suitable working plan and follow it! Playing through the classical games and understanding the ideas employed will help you assimilate better the points mentioned above. See how they trace a plan and the way they use the small positional advantages in the position. A good study of the classics will help you improve your general chess understanding. Whenever you sit at the chess board you have to give your best and try to always beat the opponent you have in front. That means you have to be prepared and acquire a mental strength that will help you overcome the difficulties of the game. Don’t give up too soon and don’t relax too soon during a game! The psychological part should not be overlooked and it plays a fundamental part in the improvement of any chess player.